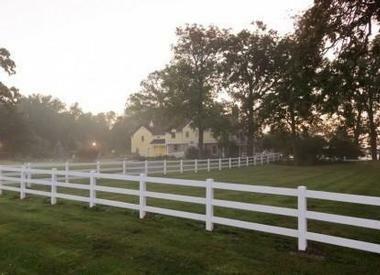 The HideAway Country Inn is a classic boutique hotel in the heart of Ohio’s Amish Country that promises a unique and memorable experience. 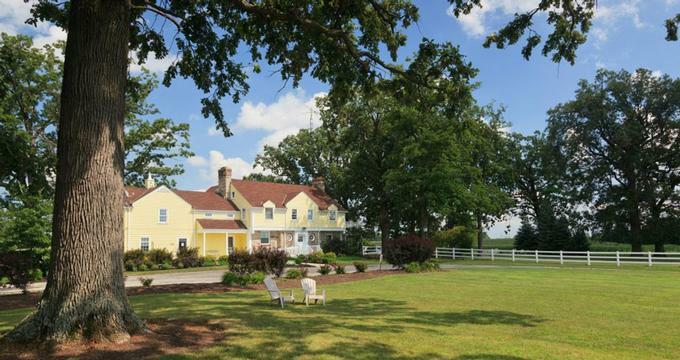 Centrally located between Bucyrus, Marion, and Mansfield, the charming bed and breakfast style inn is set on six acres of landscaped gardens and lawns and offers the creature comforts of home combined with the amenities of a full-service hotel. 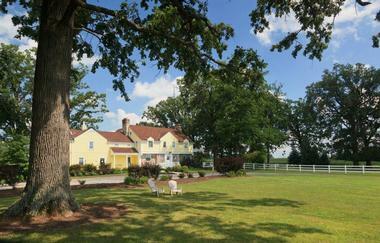 Surrounded by the rolling farmlands and patchwork meadows of Ohio’s farm country, the HideAway Country Inn offers a real escape from the city, with luxurious accommodations, hearty home cooked country cuisine, spectacular venues for weddings and business retreats and miles of nature trails for exploring. 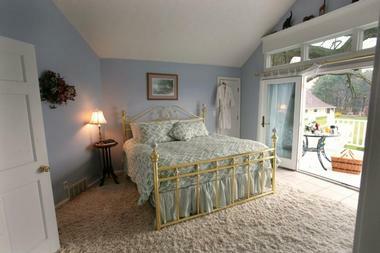 Beautifully appointed guests rooms are situated in the historic Manor House and the Carriage House. Each guest room is individually decorated in various themes with comfortable country-style décor and lavish furnishings. Certain rooms enjoy exceptional amenities such as Jacuzzi tubs and cozy fireplaces, while standard conveniences in each room include SMART televisions with satellite channels and DVD players, individual climate control, and coffee makers with gourmet coffee and teas. Other extras that can found in each room are hairdryers, iron and ironing boards, plush bathrobes and luxe bath products in the private bathrooms, alarm clocks, and complimentary wireless Internet. Guests are also treated to a complimentary breakfast every morning. Luxury Suites include the Tree House Apartment, Eagle’s Nest, Cherry Suite and the Louis XIV Suite. These suites feature spacious cathedral-ceilinged bedrooms with king-sized brass or canopy beds, Restonic™ ComfortCare™ mattresses and imported linens, and en-suite bathrooms with Jacuzzi tub for two, glass-enclosed walk-in showers, plush bathrobes and luxe bath products. Spacious living areas have stylish décor, comfortable sofas, including queen-size sleeper sofas, loveseats, three-sided gas fireplaces with remotes, and SMART televisions with satellite channels and DVD players. Kitchenettes feature coffee makers with gourmet coffee and teas and microwaves, private decks have wicker tables and chairs and boast beautiful views. Luxury Suites enjoy individual climate control and complimentary wireless Internet throughout. Loft Suites include Country Oak, Out of Africa, Napoleon and Hunter’s Den, all of which exude luxury and charm on every level. Bedrooms are located on mezzanine levels within the suites and accessed via spiral staircases for added coziness and comfort. Loft Suites feature designed king-size beds with Restonic™ ComfortCare™ mattresses and imported linens, private en-suite bathrooms with marble finishes, walk-in rain showers and Jacuzzi tubs for two, plush terry robes and Davines spa bath products. 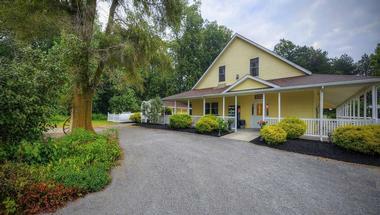 Spacious living areas have country lodge style décor, plump sofas, including queen-size sleeper sofas, loveseats, three-sided gas fireplaces with remotes, and SMART televisions with satellite channels and DVD players. Kitchenettes feature coffee makers with gourmet coffee and teas and microwaves, individual climate control and complimentary wireless Internet throughout. Manor Rooms range from the Smith and the Garden Suites to the Inventor’s and Carpenter’s Suites. These comfortable suites feature hardwood floors, antique furnishings, spacious living areas and stylish bedrooms. King-size beds have Restonic™ ComfortCare™ mattresses and imported linens, and private en-suite bathrooms feature walk-in dual head showers and luxurious Jacuzzi tubs for two, plush terry robes and Davines spa bath products. Living areas have plump sofas, mini fridges, SMART televisions with satellite channels and DVD players. Kitchenettes feature coffee makers with gourmet coffee and teas and microwaves, individual climate control and complimentary wireless Internet throughout. 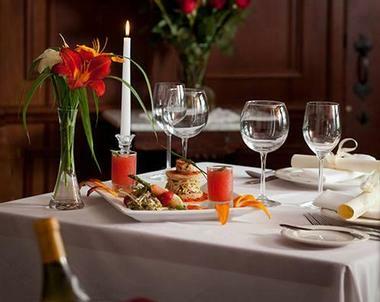 Located in the beautiful manor house at the Inn, the 1938 Restaurant & Pub is an award-winning restaurant that serves New American cuisine and world-class wines in an elegant and relaxed setting. Winner of the ‘Wine Spectator’s Award of Excellence’, the 1938 Restaurant & Pub has a large wood-burning fireplace and huge bay windows that look out over the kitchen gardens and serves a menu of creative farm-to-table cuisine with ingredients from the inn’s own garden. In addition to offering outstanding cuisine and wine, HideAway Country Inn also offers cooking classes where guests and visitors can learn how to make some of the inn’s delicious dishes at home. The hotel also presents unique wine tasting classes and wine education classes for those want to learn more about the region’s best vintages. The Serenity Spa Room at the HideAway Country Inn offers a range of indulgent massages, pampering body treatments, and skin care treatments. Spa services include a variety of massages and body wraps, facial and sea salt scrubs, exfoliations, manicures, and pedicures, as well as other salon services. The HideAway Country Inn offers a variety of first-class amenities, ranging from luxurious accommodations with deluxe hot tubs and fireplaces, an award-winning restaurant and pub, an exclusive spa and salon, and an array of elegant venues for weddings, corporate retreats, and meetings. The HideAway Country Inn features a range of beautiful venues that cater for special events such as wedding, receptions, corporate events and business meetings, large or small, formal or casual. Personalized wedding packages include romantic venues, including the rose garden, patio or Woodland Room, table and seating arrangements, customized cuisine and wine from the award-winning restaurant, and the use of dressing rooms before receptions. Additional services include complimentary ice water for guests, services of a full service wedding coordinator, ceremony music with audio visual equipment and professional sound system, ceremony officiate, bridal dressing assistance, guest parking and full set-up and clean-up of the event. The HideAway Country Inn can also accommodated business meetings and corporate retreats with an array of venues and facilities that can be configured to cater for any size gathering. Each space is fully stocked with executive amenities, including bottled water, snacks, audiovisual equipment, projector and screens, and wireless Internet access. The Hideaway Country Inn is ideally located for exploring the area and enjoying the array of interesting sites, attractions, and activities that are on offer. Centrally situated within an hours’ drive of Amish Country and Hocking Hills, the Inn is perfect for those wanting a tranquil escape or to explore and discover. Cultural buffs can see a multitude of theater performances and dinner-theater experiences at the Marion Ritz Theatre, the Bucyrus Little Theatre or Palace Theatre and wine-lovers will delight in the many wine estates and vineyards along the Ohio wine trail to try. Outdoor lovers and sports enthusiasts can enjoy hiking, mountain biking, horseback riding, pheasant hunts, bird watching, or racing cars at the Mid-Ohio Sports Car Course. Other unique experiences to the area include the Marion Popcorn Festival and the Bucyrus Bratwurst Festival, the lovely Kenton Amish Country and exciting ghost hunts at the Ohio State Reformatory. 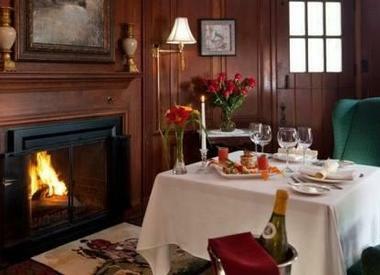 Back to: Romantic Weekend Getaways in Ohio.